Colette Baron-Reid understands the real reason many of us struggle to lose weight and keep it off. It isn't that we don't know what to eat or that we don't have enough willpower; it's that we are responding to feeling too much. 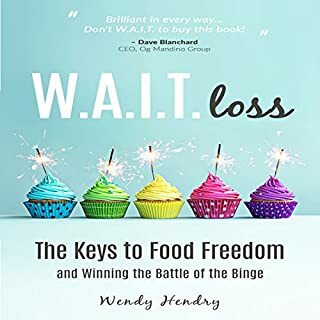 Weight Loss for People Who Feel Too Much focuses on the keys to weight loss for sensitive people: managing empathy, setting and maintaining healthy boundaries, eating to support well-being, and dealing with challenging situations that can trigger disordered eating. You'll discover a step-by-step and easy-to-follow guide that reveals the secrets to finally overcoming your eating disorder, losing weight, and gaining an attractive body. You'll also find simple exercises to perform in order to control stress, depression, anxiety, and loneliness. 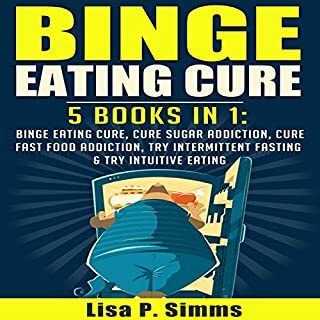 Discover how to cure your binge eating addiction once and for all! Have you grown tired of failed attempt after attempt to rid yourself of your binge eating addiction? Do you ever wonder if there is any other way to have a happier, healthier, more fulfilling relationship with food? Have you been dreaming of living your life totally free of the negative emotions and self-perceptions that come with this soul-sucking disorder? If you answered "yes" to at least one of the above questions, then this book is just what you need to get informed, grow confident, and take the steps necessary to get exactly what you want out of your life and your relationship with food! 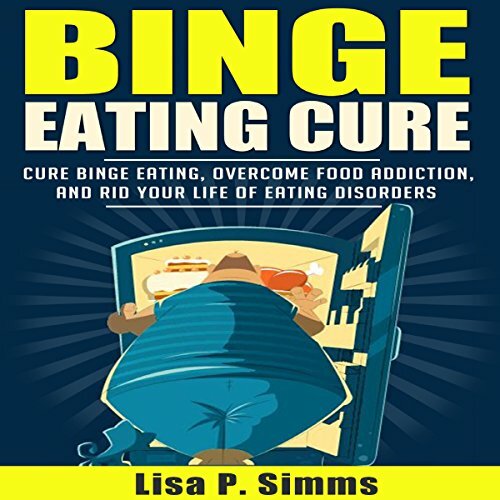 Binge Eating Cure: How to Cure Binge Eating, Overcome Food Addictions, and Rid Your Life of Eating Disorders was written with curious, dedicated, and open-minded listeners like you in mind. In this audiobook, you will discover hidden secrets that regular run-of-the mill websites and advice columns don't tell you. You will learn different techniques to help you create a plan that you can stick to in virtually any situation. You will acquire a set of tools that will help keep you from slipping off-track, while giving you the motivation to pick yourself right back up again if you just so happen to backslide; because after all, nobody is perfect! You will discover top turbo-charged tips for conquering cravings! So what are you waiting for? Take action, not now, but right now, and grab this exciting road map to curing binge eating, once and for all! Basic information you probably already know. Factual and basic and general. Doesn't delve into anything. even if I've read other books in this specific topic and the most -even all- of the advices were familiar to me, this book made me to put the things in order and with determination to try from the start all over again. The narrator was ideal for this book. Her voice was calm and encouraging. I really enjoyed the flow of this audio book. This binge eating disorder has recently just been recognized and most of the people still don't now about it. By making this audio it will help spread awareness of this disorder and that's what I really like. Many people are being diagnosed with a disease because of eating too much and this can be a great help. This is really a great book and I feel like everyone should read it not only for themselves but for the people they love. 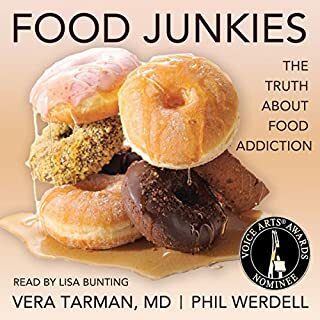 This is a very useful audio book about eating. Its topic is directed to binge eating disorder but I feel like it covered all strange food eating habits. You can get a lot of tips on the internet but it doesnt seem to work. Unlike this audio book, I followed the techniques in it and created a plan, and now I feel like I've improved and got rid of my bad eating habits. This really helped me a lot. If you are a compulsive eater like me, this would really help you. By listening to this book I learn tips on how can I be healthy and stop the habit of eating. It also made me aware of what are the possible things that could happen if I don't stop binge eating. I really appreciate the benefits of the nurturing approach taken by the maker of this audiobook. 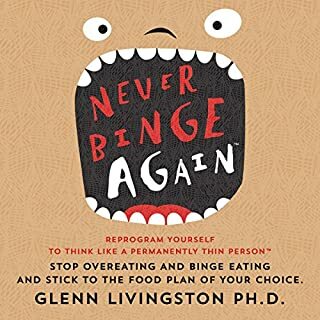 I am halfway through listening to this audio book and I really would recommend this to anyone who can't stop eating and have this binge eating disorder like me. This has been an eye-opener for me and inspired me to start a diet plan that can lessen my binge eating disorder. I really love this audio book! Everything. Everything is very helpful and very effective indeed! 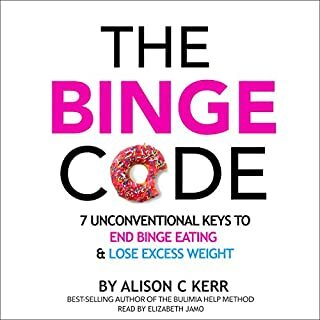 Where does Binge Eating Cure rank among all the audiobooks you’ve listened to so far? For me, it's on the bestseller rank. Food addictions results to fatty body. I bought this book for me to learn on how to stop my food addiction. This book is very helpful and gives me effective treatments to balance my eating habits. Great audiobook and highly recommended. Out of all of the books on this topic, I think this book is the gold standard. It is completely thorough, comprehensive, concise, and really informative in ways that most other books really aren't. Instead of the same run-of-the-mill advice, this book actually have a few gems of information that make something "click" in your head and help you change your path. Informative read. Really gave me a better understanding of binge eating and other food disorders. Glad I gave this one a listen. Found it to be very enlightening. This audio book hit the nail in my head. This audio book hit the nail in my head. I have tried therapies and counseling but it didn't work for me. I find is the book is really convincing and I think it's all about the brain and how it processes information. I'm hoping by the following the techniques and plans that are in this book I will be 5 pounds lighter after few months or weeks. 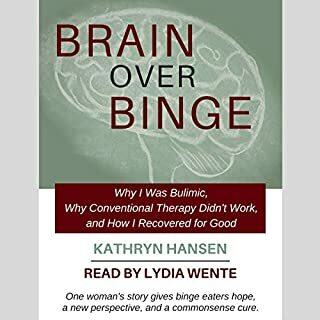 If you have a close friend or loved one with an eating disorder or disordered eating, this is the best audio book that you can recommend to them. You can easily understand binge eating through this because it was explained in a non-clinician standpoint. Because of this, I have helped a lot of my friends get over with their bad eating habits. if you overeats and has BED as well, I will highly recommend listening to this audio book too!